The 5th MASHCON will be held from May 19th to 23rd, 2019 in Ostend, Belgium (with technical sessions from May 20th to 22nd). The conference offers researchers and experts the possibility to discuss the latest developments in research and practice related to ship manoeuvring in shallow and confined water. After successful conferences on bank effects (Antwerp, May 2009), ship - ship interaction (Trondheim, May 2011), ship behaviour in locks (Ghent, June 2013), interaction with the bottom (Hamburg, 2016), the 5th edition will pay particular attention to manoeuvring in waves, wind and current. The conference will be organized by Flanders Hydraulics Research and the Maritime Technology Division of Ghent University. Ocean Engineering will publish a Special Issue based upon the conference. The papers that will be presented have been reviewed by the International Scientific Committee. 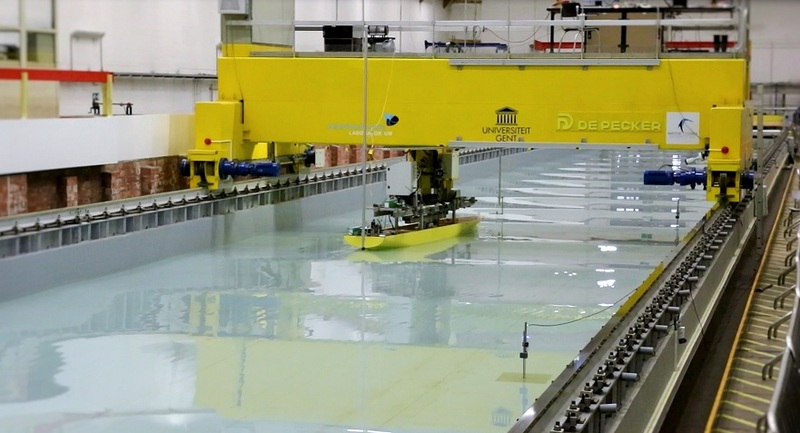 To open a joined research effort on the validation and verification of different research methods, the Knowledge Centre Manoeuvring in Shallow and Confined Water has selected model test data which were obtained during the execution of seakeeping tests with the DTC container carrier in the framework of the European SHOPERA project. The benchmark data are both captive and free running model tests with the DTC at full draft in calm water and in waves. The conference organisers would particularly welcome papers which focus on comparisons between the output of numerical models with the benchmark model test data. The data can be obtained by mailing to info@shallowwater.be. A digital version of the benchmark data will then be sent to you, along with an accompanying paper describing the experimental set-up. The benchmark data which were made available for the previous MASHCON conferences are also still available for interested parties.